Last year saw the publication of the critically acclaimed and innovative book 45 from the small British press Com.x. Written by Andi Ewington and illustrated by a number of fantastic artists, 45 follows a journalist who interviews forty-five super-powered individuals to find out what life is like for them, beings who have the “Super-S” gene, in anticipation of the arrival of his own child. 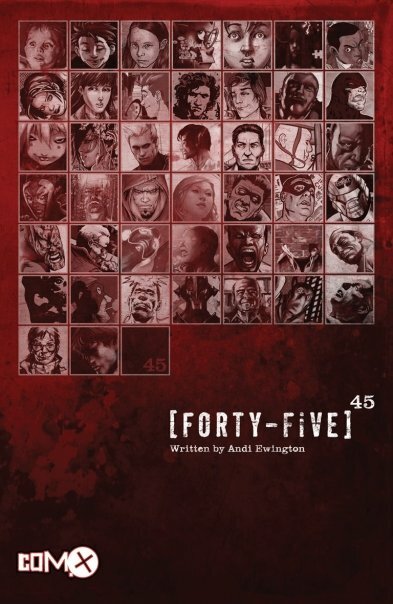 45 is still available for purchase, and has just been released on Amazon Kindle. Now Com.x is expanding on this universe with three one-shots based on the characters and concepts found in 45. The first of these, to be released on July 22nd, is focused on the character BlueSpear, the Japanese hero. FOG! spoke to Com.x’s Benjamin M. Shahrabani and Jon Sloan about independent publishing and their upcoming slate. FOG! : Why did you guys want to be involved in creating comics? BMS: I’ve always had an interest in story-telling ever since I can remember. I love to read, and average a book or two a week (of any type) just for my own edification. My first memories of comics start with comics like Tintin and The Beano. More recently I’ve been involved with the film industry…but since film is an expensive and time consuming proposition, comics publishing provides a perfect compromise. Its visual story telling that is virtually without limit, only the imagination of the writer and illustrator determine how far the story may go. JS: Well, I’ve been an avid reader of them for decades, starting way back with the launch of 2000AD, its spin off and the other comics that tried to coat tail on its success. I still remember playing with the spinner toy that came with, I think, issue #1. After many years of corporate wage slavery it seemed like a good time to do something fun. So, that history and all those good memories steered me towards comics. It helped that one of the founders of Com.x is a good friend of mine and we work together on other ventures too. FOG! : Could you give our readers some background on Com.x? BMS: Com.x is an independent comic book publishing company that was founded 10 years ago now. We did take a hiatus in 2007 before coming back in 2008. Some of the titles we’re known for include Cla$$war, Bazooka Jules, and 45 (which came out last year to some critical acclaim). 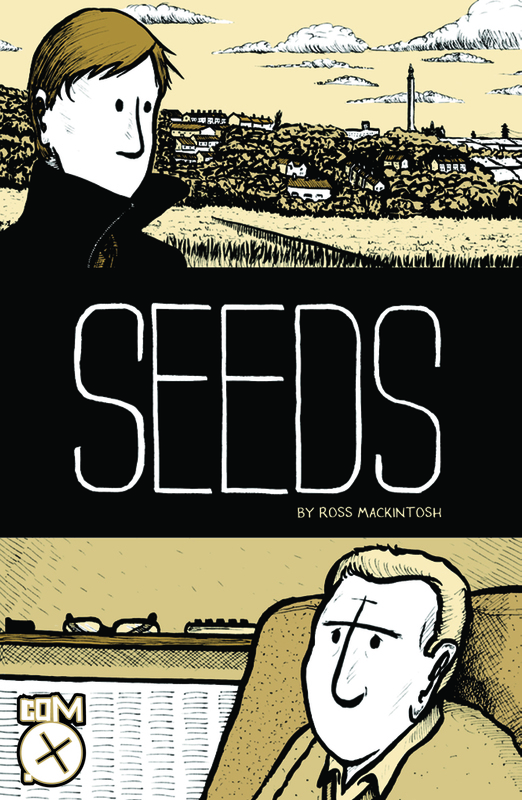 Our next book out will be Seeds by Ross Mackintosh which should be available any day now. Seeds is the autobiographical story of how Ross and his family were affected by his father’s cancer; beginning with the diagnosis, then taking us through the journey of his father’s decline. We were profoundly touched by Ross’ storytelling and felt we had to release his book. There are no real boundaries here when it comes to genres, or in terms of the style of stories that we take on. We just want to create great comics that people will hopefully enjoy and discuss. FOG! : What are some of the major challenges associated with starting and running a small press? BMS: Well, Com.x is a small company. There are only three partners – myself, Eddie Deighton, and Jon Sloan, and we pretty much do it all within the company. From design to editing, marketing & publicity to getting the books to the street even. It’s not a small job by any means. Having limited bandwidth is probably our biggest problem. That being said, since we do take on only a select number of books at any given time, the creators do have our full attention, and can get in touch with any one of us for any issues they might have. The benefit for the creators is that when we put out a book, we’re usually only putting out one or two books at a time so that book gets our full attention. We won’t bite off more than we can chew. That’s the most important thing…but I do think we punch above our weight. From a personal point of view, I’m an eternal optimist. I’d love to find the time to work on a lot of the worthy submissions we get, but we just can’t physically or mentally do them all. JS: Well, in essence, the challenges are no different than running any other small company. Cash flow is always a top issue to wrestle with. A top quality series can run to tens of thousands in creator fees, then there’s printing and advertising on top, most of which needs to be paid for before you see any revenue coming in from sales. Creatively, it’s gratifying to see, discover and nurture new talent, but it’s difficult to hold on to them once they’ve had some success as the big two usually comes knocking and snatches them away. It’s understandable, of course, taking the opportunity to write for or draw characters you’ve been reading all your life. So, it’s just disappointing knowing that you’ll only get to work with someone for a small amount of time. FOG! : So far, what have been the greatest rewards you have found from your association with Com.x? JS: Personally, the chance to meet and drink with some of my idols! FOG! : What does the future hold for Com.x? BMS: I hope we’re going to keep on doing what what we’re doing, which is put out great, independent books on a (semi-) regular basis. We’ve always believed that we shouldn’t rush a book to the market before it’s ready. Hopefully along the way we can keep growing, and maybe even get a film or animated feature (or two) made out of one of the properties. I think over the next 12-months we will be putting out our most diverse slate of projects ever, and that’s pretty exciting. JS: Well, we want to focus on staying true to our vision for putting out top quality material. So, we’ve got a lot of books in the pipeline right now, working with some top drawer creators and some talented new guys too. Can’t give too much away right now but we’ll keep your readers posted when we have news. 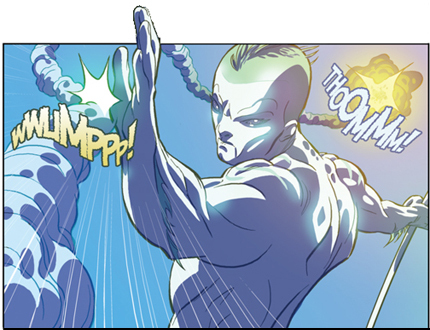 Check back Thursday for an interview with BlueSpear‘s creator Andi Ewington, co-writer (and Com.x publisher) Eddie Deighton, and artist Cosmo White about their heroic spin-off.